A Boko Haram attack on a girls school in northeast Nigeria has revived fears of another Chibok-style mass kidnapping, even as the government claims the jihadists are on the verge of defeat. Dozens of heavily armed fighters stormed Dapchi village in the Bursari area of Yobe state on Monday evening, firing shots and setting off explosives. Students and teachers at the Girls Science Secondary School fled into the bush for safety, fearing the Islamist militants would abduct them. 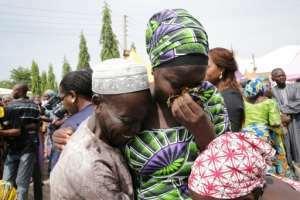 The potential for a repeat of what happened some 275 kilometres (170 miles) away by road in Chibok, in neighbouring Borno state, has not been lost on many Nigerians. Both were state-run boarding schools in rural areas teaching girls of a similar age a so-called secular curriculum; Boko Haram fighters came in a convoy of pick-up trucks at night. Boko Haram, whose name translates from Hausa to "Western education is forbidden", has kidnapped thousands of women and young girls since beginning its bloody insurgency in 2009. But it was only the mass abduction of 276 girls in Chibok, in neighbouring Borno state in April 2014 that brought global attention to the conflict for the first time. Fifty-seven girls managed to escape in the immediate aftermath while 107 have been found, escaped or released since May 2016; 112 are still being held. Some locals maintained Boko Haram deliberately targeted the school. But with all those who fled not yet returned and the institution now closed, it is still not clear exactly what happened. Some security analysts and those closely involved in the conflict said the attack may have been motivated by knowledge of payments to secure the release of the Chibok girls. Last May, at least two million euros ($2.5 million) is said to have been paid for the release of a batch of 82 students in an exchange with jihadist fighters in Nigerian government custody. Amaechi Nwokolo, a security analyst at the Roman Institute for International Studies in Abuja, said ransoms had become "a new way of financing" Boko Haram activities. "They need money for arms, ammunitions, vehicles, to keep their army of fighters moving across the borders. They're spending a lot of money on arms and logistics," he told AFP. Payment of a kidnap ransom is often seen as the only way of securing a person's release but civilian militia said the government risked being dragged into "a dirty game of money". Boko Haram has not specifically targeted a girls school since Chibok. But one militia leader said should they ever emulate the feat, "the government will be under intense pressure to secure their release, which means giving them money". "The reality is whether girls from Dapchi school were taken or not, the importance of the attack is that this could be a new strategy for the group to raise money. "So we have to be careful." Nigeria's military and government have repeatedly claimed that Boko Haram is on the run after a sustained fight-back by troops since early 2015. A senior military source in the Borno state capital, Maiduguri, said operations had "destabilised Boko Haram and they have realised they have nowhere to hide". Kidnapping for ransom could purely be a way of making money for after the end of the conflict, he suggested. 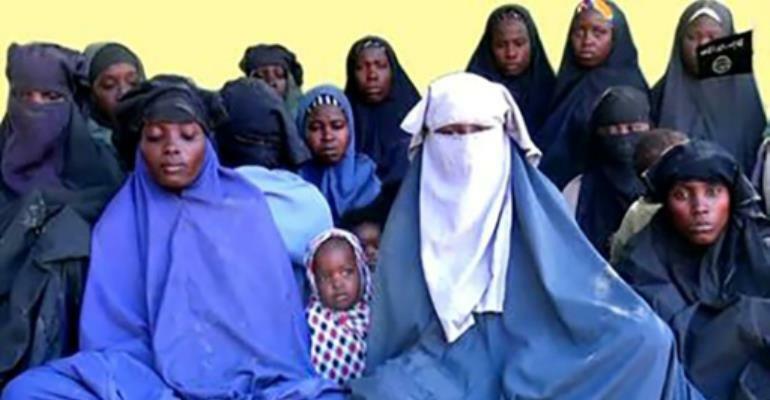 Others, including Babaji Katagum, a security analyst and former Nigerian Army captain, pointed out that Boko Haram had only ever made a ransom demand for the Chibok schoolgirls. Persistent raids across northeast Nigeria were now primarily about survival -- the need for food, fuel and medication, he added. "You can see from the attacks in the villages in the Dapchi area last night. No one was killed. It was all about looting," he said. "I believe the attack on the Dapchi girls school was not meant to abduct anyone. They were just there looking for food and other supplies, which they got. "If the school was their target, they would have gone straight to the school unannounced, like they did in Chibok." Yan St-Pierre, a counter-terrorism specialist with the Modern Security Consulting group, agreed and said he saw kidnapping as part of its wider, long-established tactics. "They do so every week, regardless of ransoms... or the pressure put on them by military operations," he said.